Quick UPDATE! | Kumochan is here! Hello hello to everyone! Sorry for didn’t update any sooner. I have recently in the middle of an exam that will last like 2 weeks before it’s school holiday! Gotta drink hot coco cause it’s cold first thing in the morning! So, yeah. 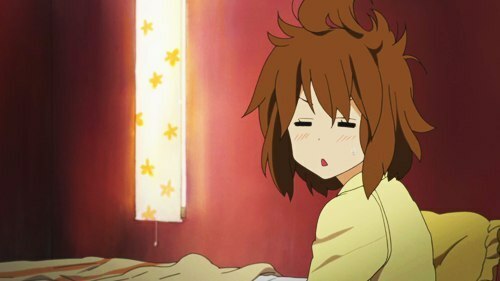 The picture above ( except for the bed hair ) is an anime called Hyouka! LOVE THE ANIME!!! Yesterday was intense! Have to write essay! So much idea to collide! I’ll be like that everytime it’s exam.